I love that our boys took time this year to set resolutions. 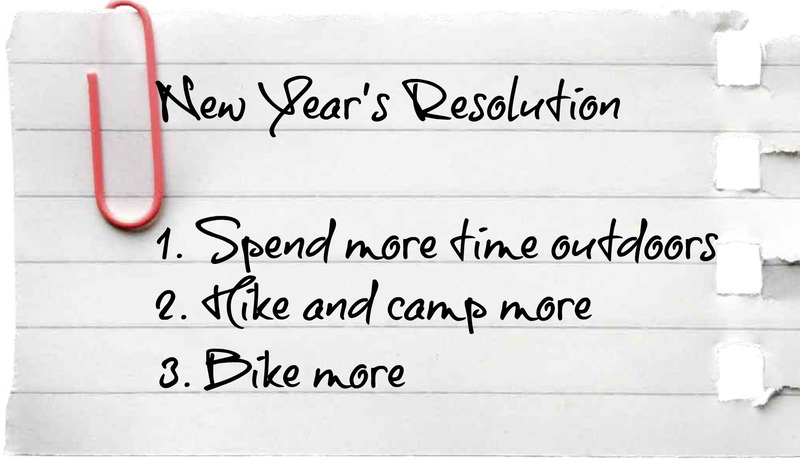 Their New Year’s Resolution is to get outdoors more, go on more adventures and bike more, which makes this mom very happy!! 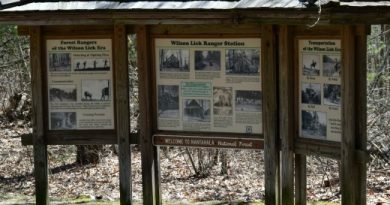 Yesterday, they kicked off their year by going on a hike through Joyce Kilmer Memorial Forest located in Robbinsville, NC. 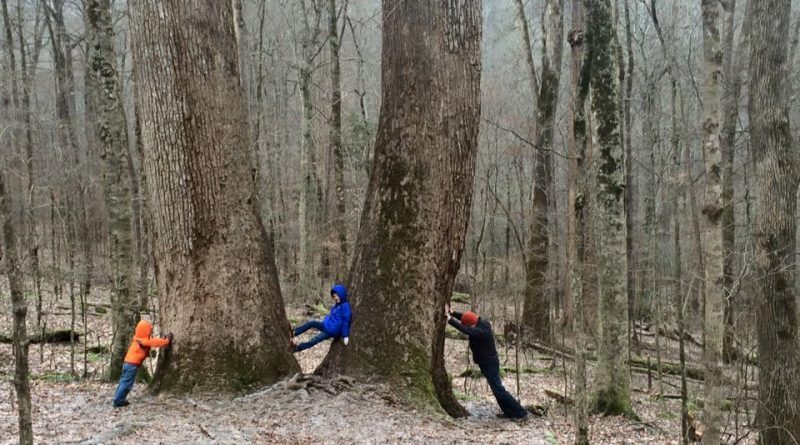 Joyce Kilmer Memorial Forest is one of the Nation’s most impressive remnants of an old-growth forest. The forest has amazing examples of more than 100 tree species which made our homeschool field trip extremely educational. 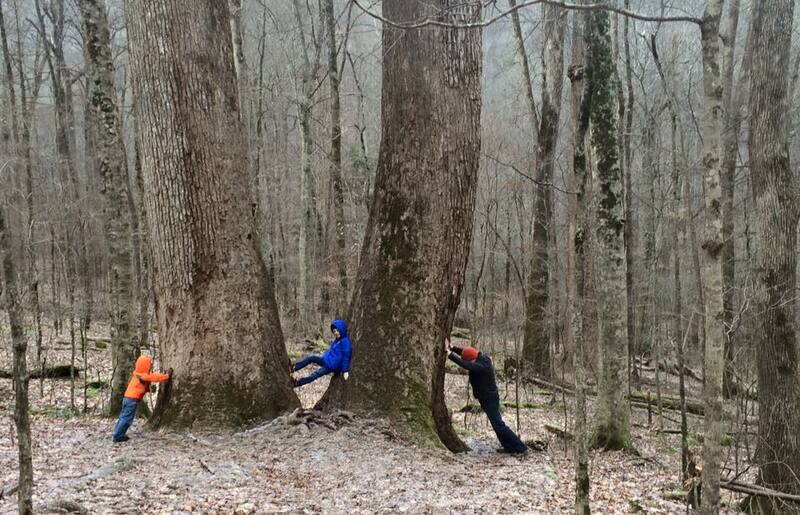 Many of these trees are over 400-years-old and some more than 20 feet in circumference and 100 feet tall. The only way to see the forest is on foot. 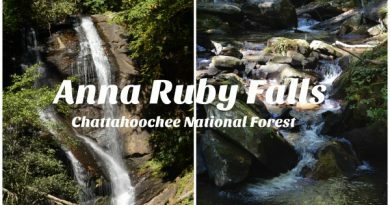 A 2-mile trail loops through the forest where you are surrounded by all the magnificent giant trees, creeks and so much more! 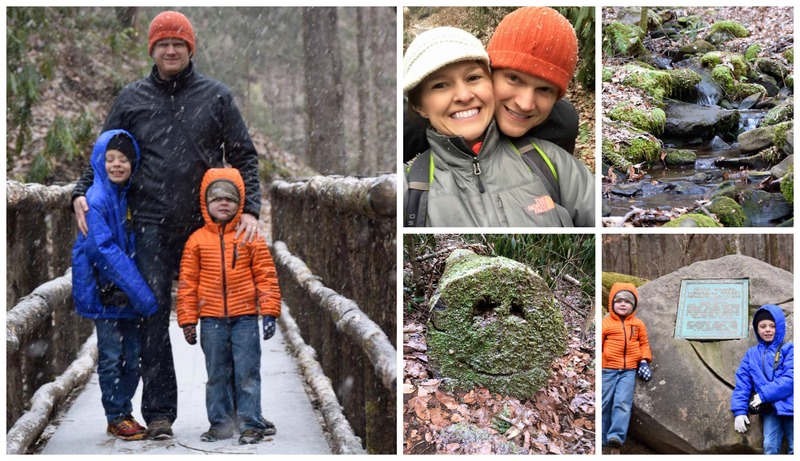 This is an easy hike and one that both of our boys really enjoyed. Veterans of Foreign Wars asked the government to set aside a fitting stand of trees to serve as a living memorial to Joyce Kilmer. So in 1936, this 3,800-acre forest was set aside. 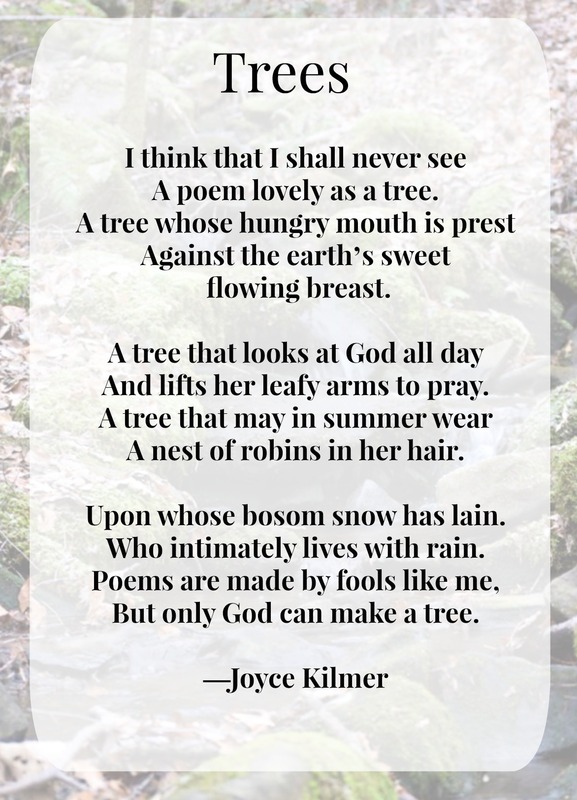 Joyce Kilmer was killed in France during World War 1 and is most known for his poem “Trees”. 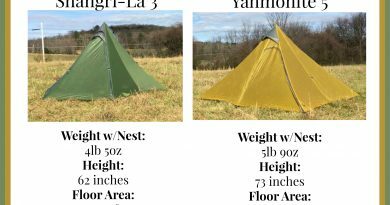 There are two campgrounds located about 1/2 mile from the memorial forest. Horse Cove Campground is open from April to October and offers 18 sites. The Rattler Ford is a group campground that offers four sites and is open from April through October. To learn more about Joyce Kilmer, download PDF brochure.